PR's most comprehensive report - ever! Get a detailed picture of what the industry looks like- where PR has strength and which critical areas need improvement. 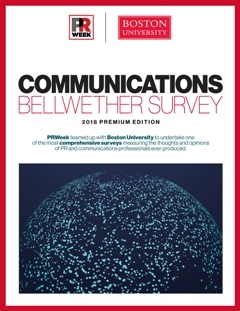 Expanded from the Bellwether Survey feature in our 20th Anniversary issue, you’ll receive 50 pages of valuable data that delve deep into key industry-related issues. Purchase the PREMIUM EDITION today for immediate download!